Does it hurt? DOES IT HURT????? YES IT FREAKIN’ HURTS!! DID YOU NOT SEE THE 3 BROKEN BONES THAT ARE STILL HEALING!!!!!????? And I can’t believe it’s still swollen!! I just figured by this stage it would be a lot better than it is. 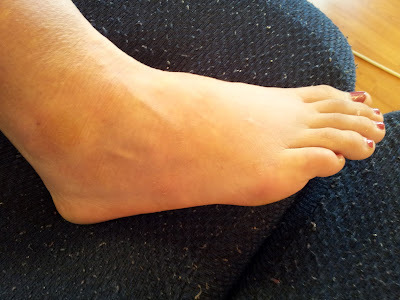 I thought I’d wear the boot for a week or 2 and be good as gold, but I couldn’t even walk on my foot yesterday at the hospital without the crutches, even in the boot. By the end of the day though, I was just walking around in the boot. Just a bit, to ease myself into it. When I woke up today I needed the crutches for the first couple of hours but am now walking around okay. I just have to be careful not to push it, and to pace myself so it doesn’t take longer than necessary to get me back on both feet. 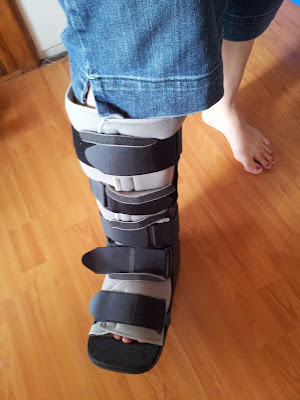 I have to wear the boot 24/7 (yes, even to bed), (but not in the shower – woo!) for 1-2 weeks, then just during the day for another 2-4 weeks after that. 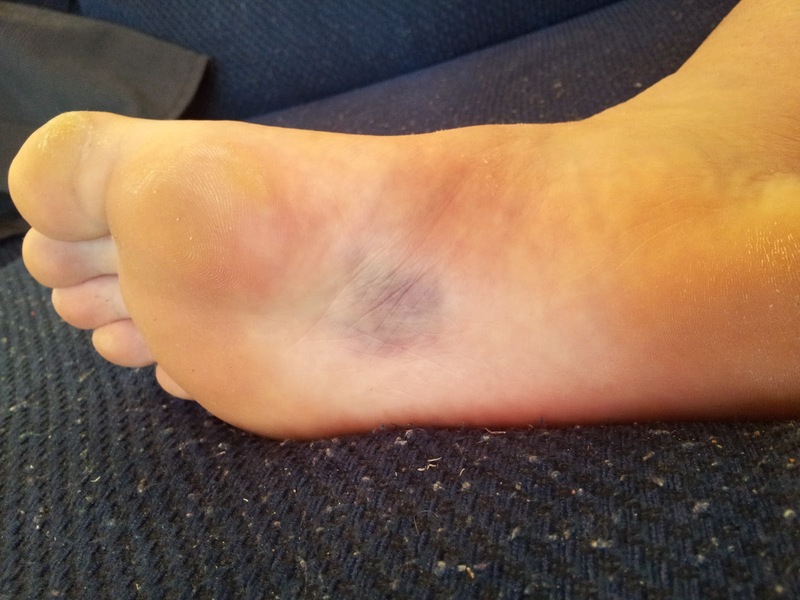 I guess the Doctor at my visit 4 weeks ago did say it was a 3 month injury.